With this wall fixture, the fluidity of its movements and its integrated LED technology makes the Polo a light source with a great precision and versatility. The Polo comes with a diffuser made from injected aluminium and a rotary switch located in the upper part. 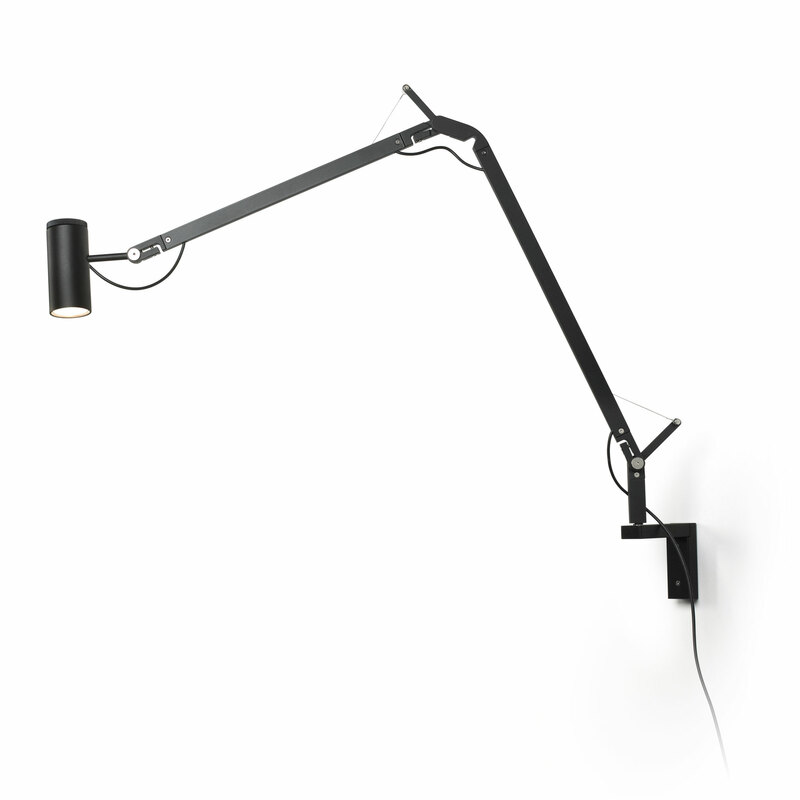 Available in both black and white, the Polo can be equipped with a range of accessories, including a table base, a clamp, a wall bracket, and—new this year—a small table accessory for the floor lamp version.